Animated adventure by the Japanese anime studio Studio Ghibli, written and directed by Hayao Miyazaki and loosely based on Hans Christian Andersen's story 'The Little Mermaid'. Animated adventure by the Japanese anime studio Studio Ghibli, written and directed by Hayao Miyazaki and loosely based on Hans Christian Andersen's story 'The Little Mermaid'. When a feisty baby goldfish/mermaid called Ponyo (voiced by Noah Lindsey Cyrus) runs away from her home in the sea, she ends up stranded on the shore and is rescued by Sosuke (Frankie Jonas), a human boy who lives on a nearby clifftop. Ponyo yearns to become human herself so that she can be with Sosuke, but many obstacles stand in her way. Cate Blanchett, Matt Damon, Lily Tomlin and Liam Neeson lend their voices to the English version of the film. When a feisty baby goldfish/mermaid called Ponyo (voiced by Noah Lindsey Cyrus) runs away from her home in the sea, she ends up stranded on the shore and is rescued by Sosuke (Frankie Jonas), a human boy who lives on a nearby clifftop. 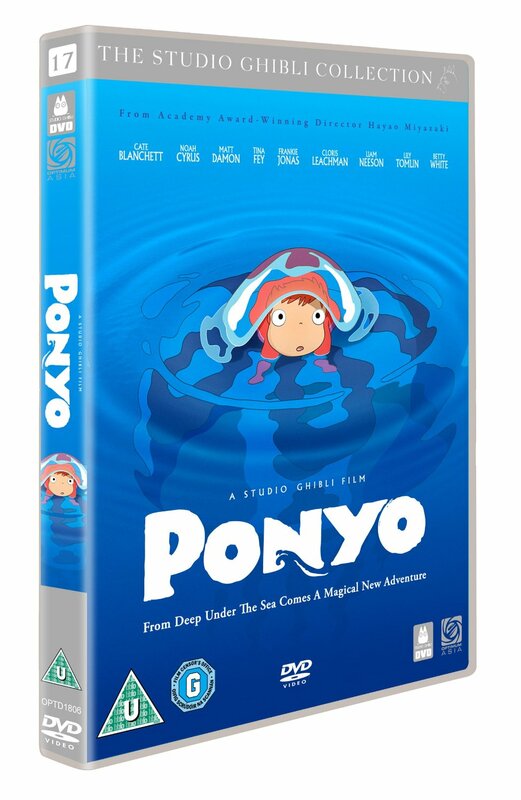 Ponyo yearns to become human herself so that she can be with Sosuke, but many obstacles stand in her way. Cate Blanchett, Matt Damon, Lily Tomlin and Liam Neeson lend their voices to the English version of the film.